As the autumn weather turns a little cooler, the daylight draws a little shorter, and the roads are a little wetter, bike commuting gradually becomes more of a challenge. Wanting to stay in good shape through ski season, even if it was only biking to work once or twice a week, meant that I’d either have to beef up my primary road bike for winter riding, or buy a dedicated commuter bike. But to make the garage a little less cluttered (barely! 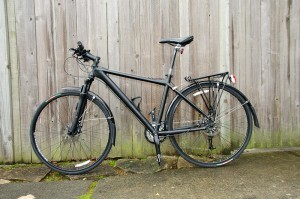 ), I first had to get rid of two bikes that were gathering dust. One was my 1994 GT Corrado, my first “mountain” bike (no suspension!) and in more recent years a town bike, but which had been sitting idle when the move to Greenlake made it impractical for riding to work. 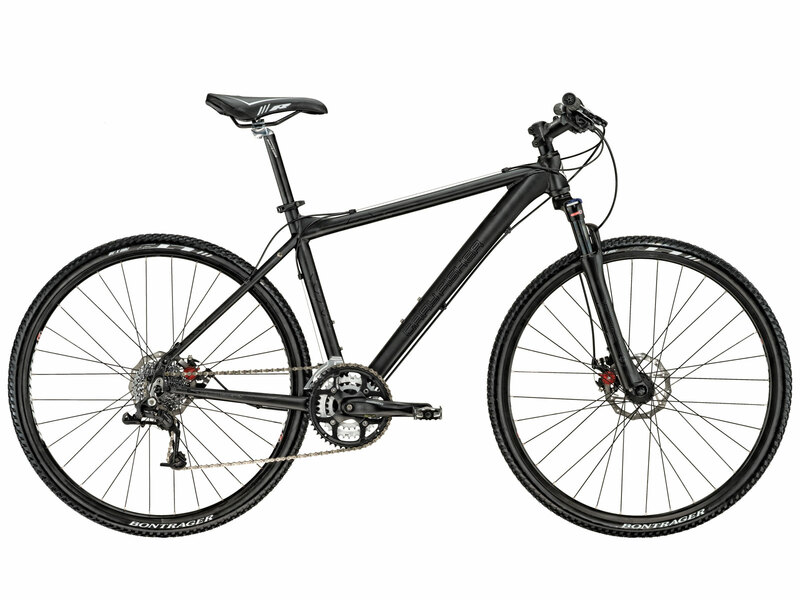 The other was a Trek 8500, my previous hardtail mountain bike, which I hadn’t ridden for over a year when I finally converted to the wonders of dual suspension. I was happy to sell them on Craigslist for a few bucks, and more importantly, clear the conscience for getting a new toy. After an afternoon roaming around a few Seattle bike shops about a month ago, I opted for a Gary Fisher Utopia, a hybrid urban commuter, from Montlake Bike Shop. 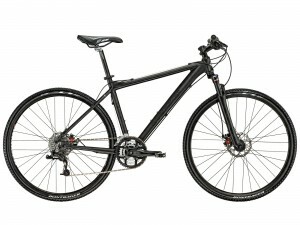 The geometry is a little mellower than that of my road bike, and the matte black frame and trim look pretty sweet. But more importantly, I was able to deck it out for riding to work. So far, the bike’s been great. 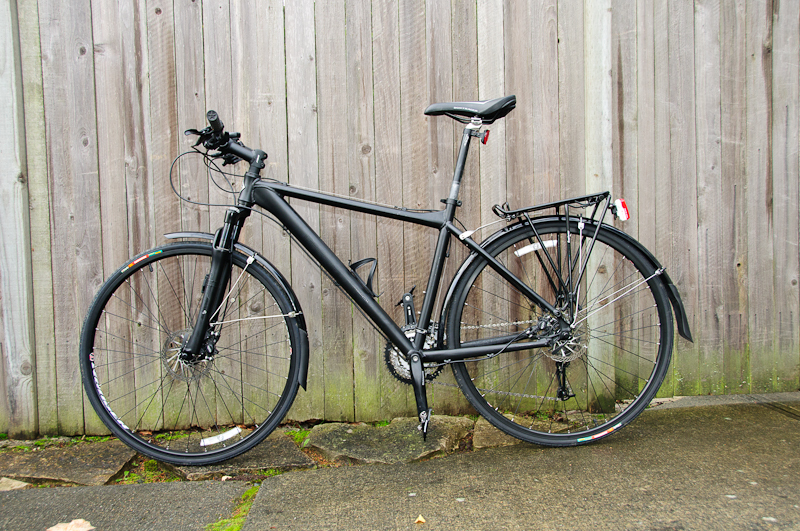 The disc brakes and fenders are fantastic for the wet roads, and it’s nice having the rack for lugging clothes and the laptop. I’m also pleasantly surprised with the front fork, which softens the rough roads without noticeably slowing down the ride. This week, I finally installed the bike lights, which are hopefully the final additions. I wanted to reuse some of the many old lights that are floating around the garage, but I gave up trying to locate the mounts for them. The only other purchases I foresee are some warmer bike clothes, but I’ve managed to get by so far with my current bike attire. That should do me good for a while! This entry was posted Saturday, October 23rd, 2010 at 11:23 am	and is filed under General. You can leave a response, or trackback from your own site.